"Double the fun, with a message of faith, Sinners & Saints will delight readers with two of their favorite characters from two of their favorite authors. It’s a match made in heaven!" "Murray and Billingsley keep things lively and fun." 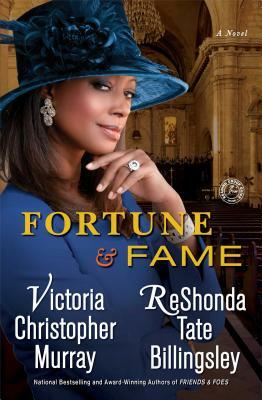 “Celebrated authors Victoria Christopher Murray and ReShonda Tate Billingsley combine forces in this unconventional tale about two ambitious women at odds.…This faith-based novel should keep devout fans on their toes." "Writing in an engaging and comfortable style, Murray creates believable women to whom readers will easily relate."